At the start of the new year, for many it’s an opportunity to set new goals, intentions and resolutions, for others it’s a wonderful time to reflect on the year passed. Whatever approach that you personally take, in this episode I wanted to share my personal reflections on 2018. I have found that the start of a new year offers the peaceful space to ground in and take note of the lessons learned in the year prior and to acknowledge any apparent themes that emerged. For me, 2018 was all about overcoming my self-limiting beliefs. 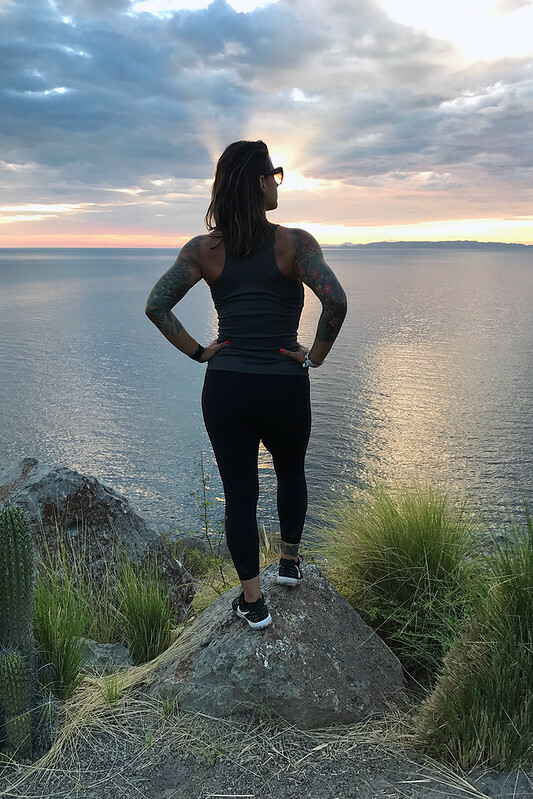 It was all about knowing that my thoughts have the power to create my reality and that ultimately I am far more in control of the life I am living than I had ever realized before. Why I personally choose to reflect vs. resolve. 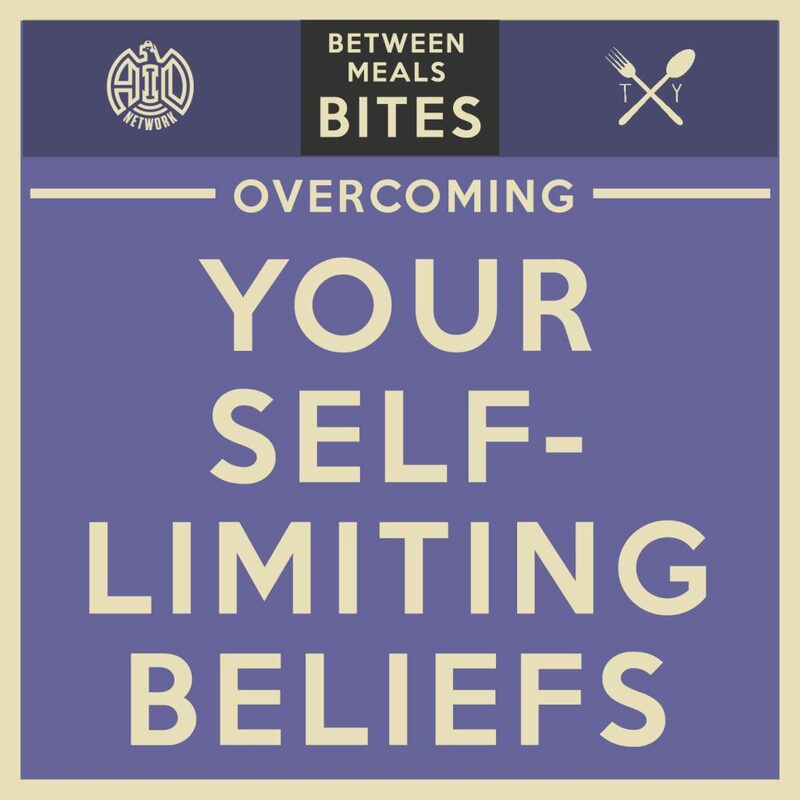 How my self-limiting beliefs were crippling me and how I learned to push them aside. Our thoughts change our physical structure of our brain. How the beliefs you have about yourself can drive your long-term behavior – your thoughts create your reality. Don’t expect wins or losses. Plan for the wins, learn from the losses. If you aren’t ready to believe in yourself, surround yourself with people who are. My crazy sound healing experience of talking to myself…. Do you set resolutions or goals at the start of the new year? Have you reflected on 2018? 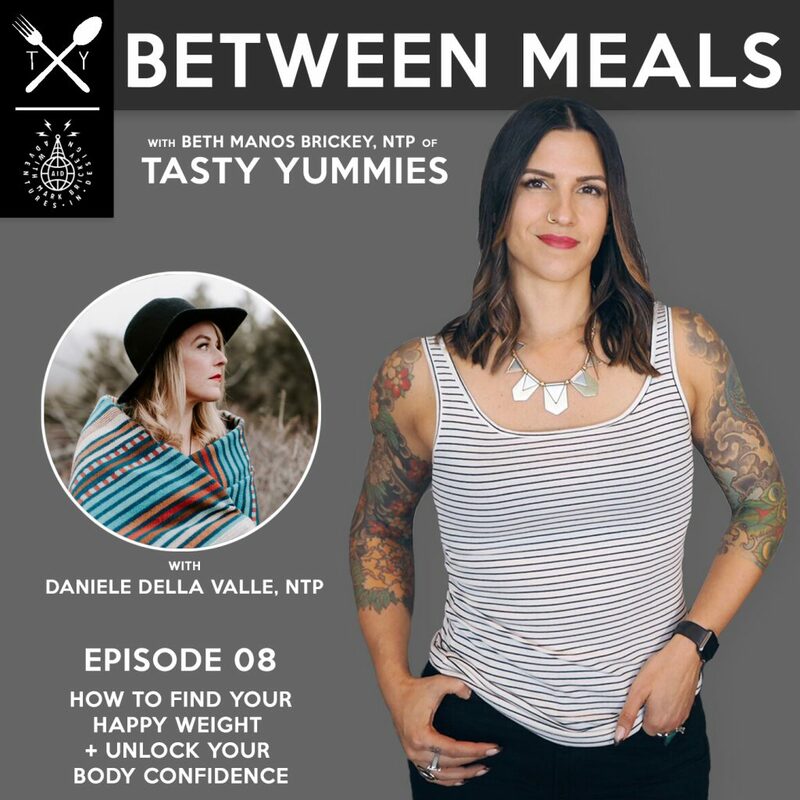 Remember to reach out on social media or in the Tasty Yummies Facebook Group and share your thoughts on this episode, what your reflections have looked like. 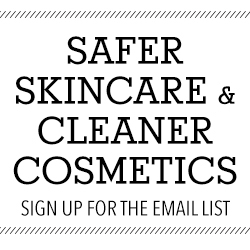 Share, comment, like, review!! This all helps so so much. 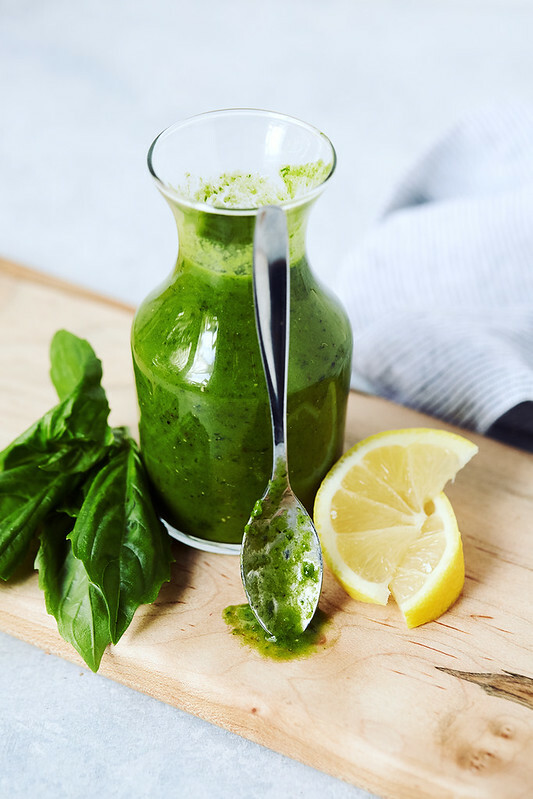 Whether or not you have committed to a structured sugar detox or you are simply looking to cut your intake of sweets and manage the cravings – today, I am sharing my 5 simple tips for your sugar detox. It’s not about dieting or crazy rules or restrictive eating as punishment, it’s just about being smart, prioritizing your health and feeling in control of the cravings! Hey Sweet Thing! Are you addicted to sugar? Do you feel trapped by your constant cravings for something sweet? If you want to break the addictive cycle to sugar, it’s totally possible, it’s not actually as bad (or as hard) as it seems and feeling like you are in control of your cravings – is truly priceless!! Trust me. Removing the addiction to sugar isn’t about extreme restrictions forever or never ever having a sweet again, rather this is about loving your body and your health enough to want to feel your bet, to get yourself out of the constant blood sugar roller coaster and to break free of the sugar cravings that hold you hostage! 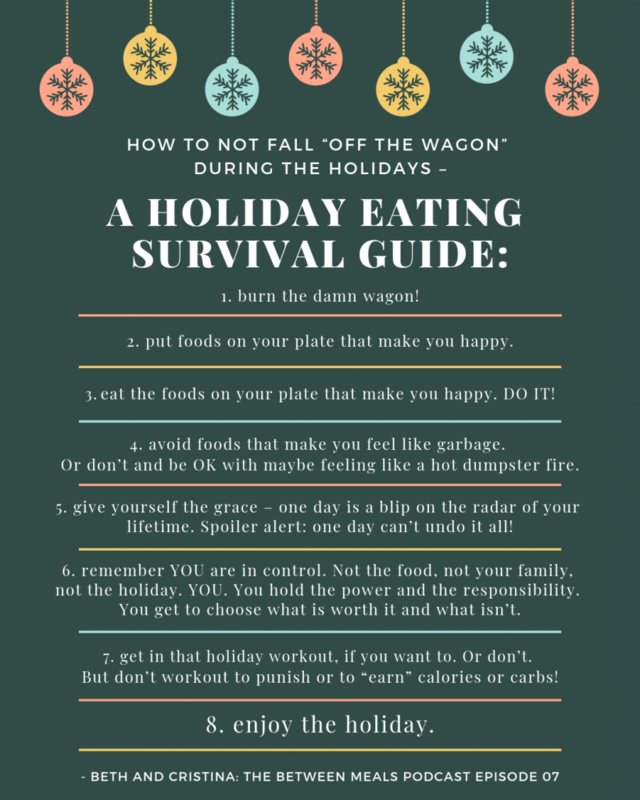 I know pretty much all of us can relate and have been there, but I find it’s especially challenging for folks after the holidays. 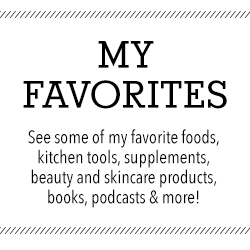 Whether or not you have committed to a structured sugar detox or you are simply looking to cut your intake of sweets and manage the cravings – today, I am sharing my 5 tips to drop the sugar – cuz friends, you are sweet enough already – haha! 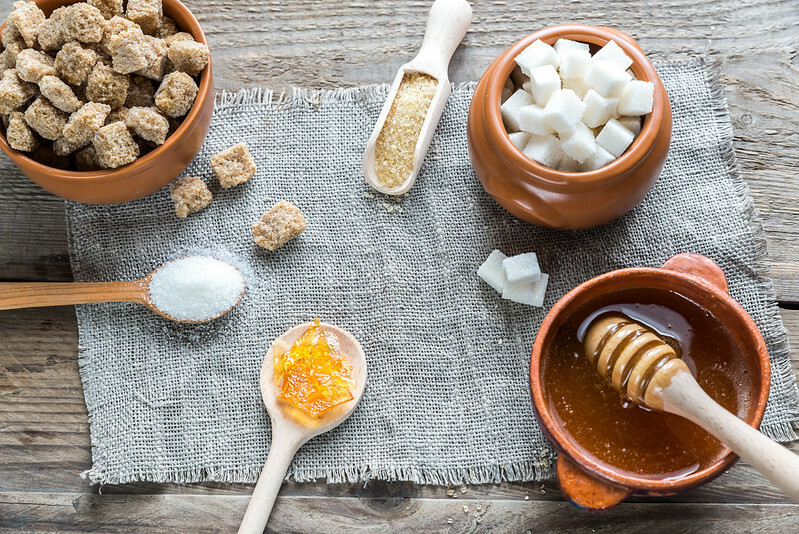 Why Cut Back on Sugar? Sugar at it’s best lights us up, it gives us pleasure in times of stress, depression and pain, but we all know those feelings are short-lived. At it’s worst, sugar in excess can make you feel sluggish, bloated, anxious and crabby – so why do you still crave it? Because it’s addicting. It triggers the same reward and pleasure centers in the brain, that some narcotics do. It’s addicting. Is sugar as bad for us as cocaine? NO – I am certainly not implying that, but I think it’s important to recognize that sugar definitely has the ability to have a very strong hold on us and it’s not our fault. raise our blood sugar (blood glucose), which requires our body to constantly be releasing insulin to manage, then we have the crash – it’s highly taxing to the body to be in this constant blood sugar roller coaster of up and down and it can affect other systems of the body, as a result. lead to weight gain from overeating, along with elevated triglycerides, insulin resistance, and other indicators of metabolic syndrome. Refined sugar has also been shown to reduce immune system efficiency.1https://www.ncbi.nlm.nih.gov/pubmed/4748178, https://www.sciencedirect.com/science/article/pii/S0271531784800573. cause elevated blood glucose levels which has been shown to promote cancer growth 2https://www.sciencedirect.com/science/article/pii/0006291X85919308. feed bad gut bacteria. When we eat a high-sugar diet, the undesirable bacteria thrive and start to grow out of control, causing a waterfall of health issues, while our beneficial bacteria dwindle in number. cause inflammation which can affects our entire body, but very specifically our immune system and our digestion. Does this mean we can’t have ANY sugar ever, nope! I am not insinuating that extreme, unattainable level of perfection with our eating, but of all the foods available to us, I would argue that sugar is the most pleasure-enducing and therefore the hardest to moderate. Limiting yourself around the sweets isn’t a problem with you or your willpower, it’s a problem with the sweets! They are hyper palatable and designed to make you want more. So, what can we do to break the addiction to sugar and begin to feel like we are the ones in control, rather than the sugar?! 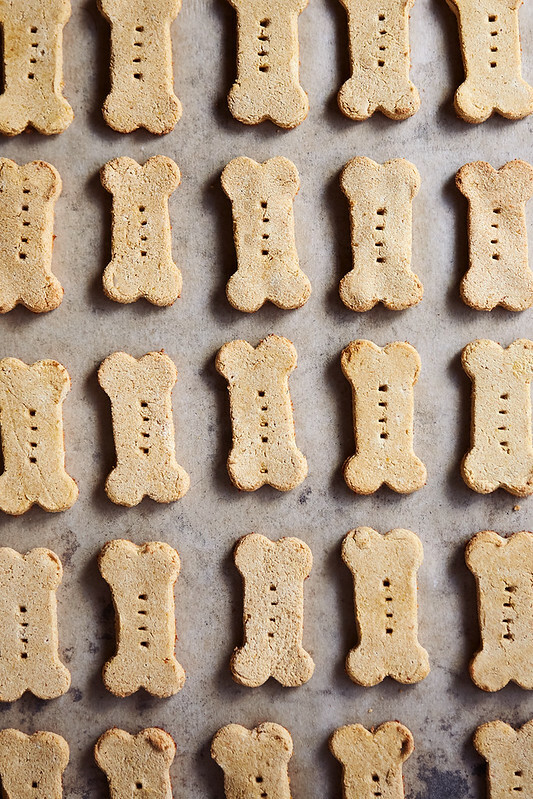 This Grain-free Salmon Pumpkin Dog Treat Recipe will make you the most popular dog parent around. 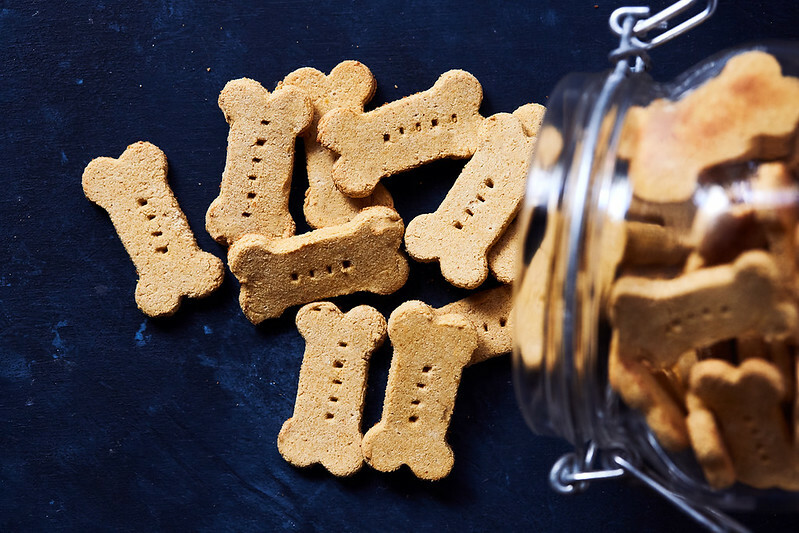 This DIY treat has just 5 simple ingredients that are loaded with nutrients for your furry baby and they are cost-effective, too! If you’ve been following along with me on Instagram, then you know all about Uncle Larry. If you don’t, let me fill you in. Uncle Larry is the rescue pup who came into our lives back in November. During the midst of the horrible Woolsey fires in Malibu, I was feeling helpless being so close, yet so far away, down here in Long Beach. In the early days of the fire, as the devastation mounted, I felt like I needed to do something, but I didn’t know what exactly. As I was thumbing through my Instagram stories I saw the calls for help for displaced animals, both from the families evacuated under emergency circumstance from their homes and the animals from shelters in the fire zones, also being evacuated. There just wasn’t enough room for all of them and with the threat of euthanasia looming there was a desperate need for foster families. For the first time ever, without hesitation I said to Mark “we need to foster a dog”. I say for the first time ever, because while we have considered it a million times over, it’s not a decision to take lightly when you already have pets, when you travel a fair amount and you know yourselves well enough to know there is a high probability that any animal you take in, may never leave. 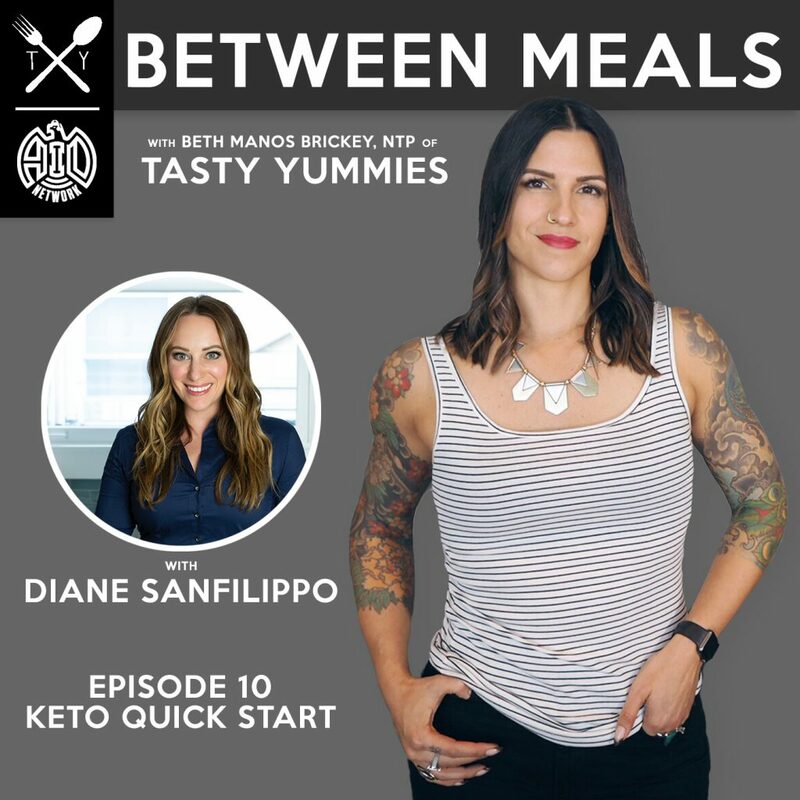 New York Timesbestselling author and health and wellness pioneer Diane Sanfilippo brings her own experience with a ketogenic diet to Keto Quick Start, a comprehensive and easy-to-follow road map to transitioning to a keto lifestyle. This blog is sponsored by MegaFood®. All thoughts and opinions are my own. The holidays are a busy, busy time full of hustle, bustle and go go go. 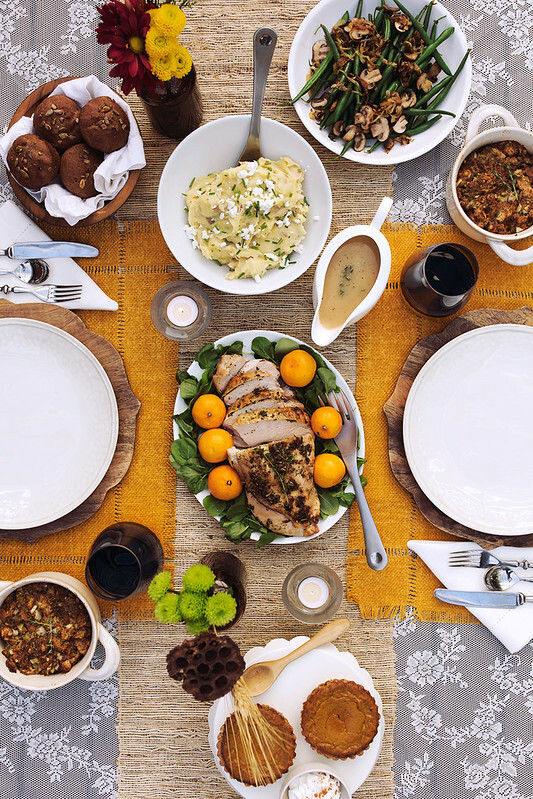 It’s also a time where we are certainly exposed to foods that are a bit more rich and indulgent than our usual fare. Our gut is often at the receiving end of the worst discomfort. For some of us it may be accidental exposure to gluten or maybe a bit more sugar than the rest of the year, or even a couple of cocktails – it happens! This time of year can feel particularly challenging to our vitality due to the added stress, travel and lack of sleep. All of this combined can be a bit rough on our bodies and particularly our digestion. 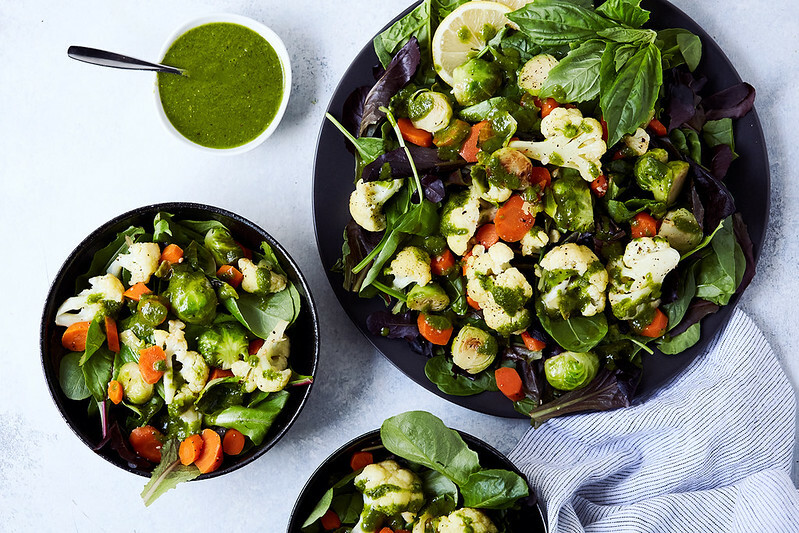 For many of us, especially those of us that struggle with autoimmune disease and other health imbalances, it certainly doesn’t take much for the symptoms to arise. 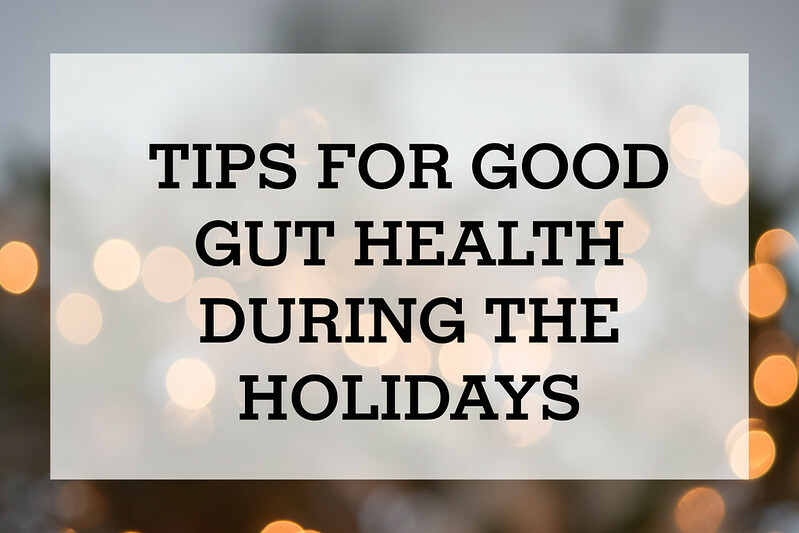 Rather than managing the consequences and putting band aids on the list of resulting symptoms, I want to offer you some of my go-to tips for supporting your gut during the holidays to avoid the discomfort and so you can feel your very best and enjoy this magical time of year!! Rising River Wisdom School is an immersive program for those looking to step into their own power and carry wisdom for themselves and the world around them. 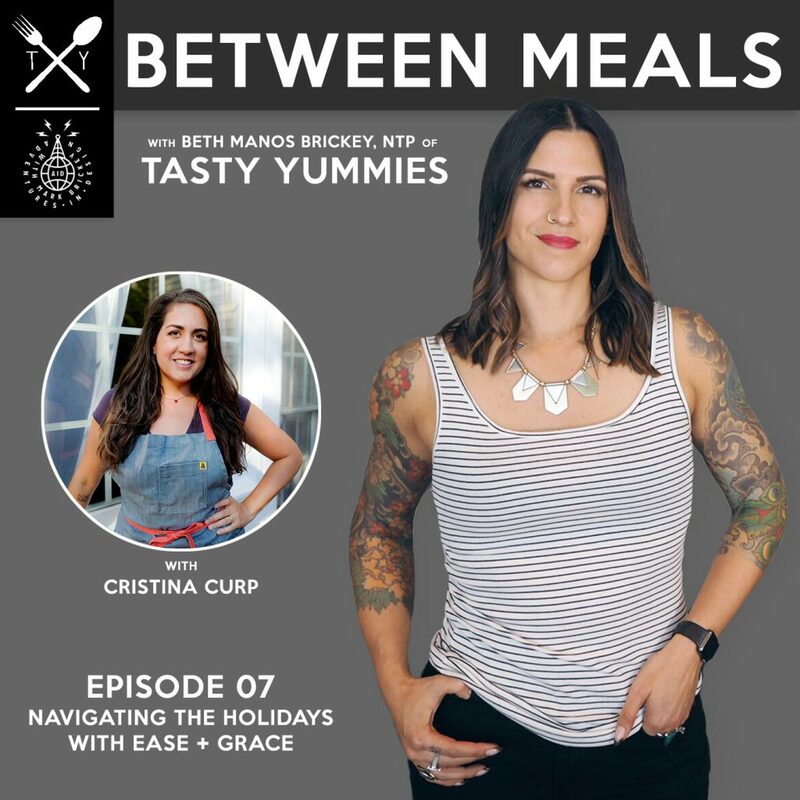 Below you will find some Sacred Self Care insight for December from Rising River Wisdom School’s incredible teachers – we’ve got you covered for setting intentions with the upcoming new moon, to seeking insight from animal guides to plant medicine, plus lots of guidance for mindfully navigating the world with your vibrant well-being in focus. As our days in the Northern Hemisphere become shorter and the darkness rises up, we have the light of Sagittarius Season to guide, illuminate and inspire us to move forward, to progress and endure. The element of fire infuses this conjunction of the Sun and Moon, as does the overlay of Sagittarius’s ruling planet Jupiter, now powerfully at home and beaming expansive energy into the birthing of the new. This is the very last New Moon of the year and an especially magical time to perform any intention setting ritual that centers on expansion and positivity. Magical, Mystical Neptune in Pisces also plays a strong part in the cosmic party. Riding alongside Mars and newly in direct motion, this planet sends a shimmering and compassionate beam of light directly into our hopes and dreams. Our imaginations are sparked and our intuitions can be extra sensitive now. Mercury also stations direct earlier on the 6th, joining every planet in the solar system other than Uranus – in strong forward motion. Jupiter, Saturn and Neptune are also situated in their sign rulers. This can bring us an opening to personal and collective energetic re-birth- much needed after the deep soul searching and shadow work of the last year. Optimism and Faith are key words of the lunation – along with Courage and Expansion. 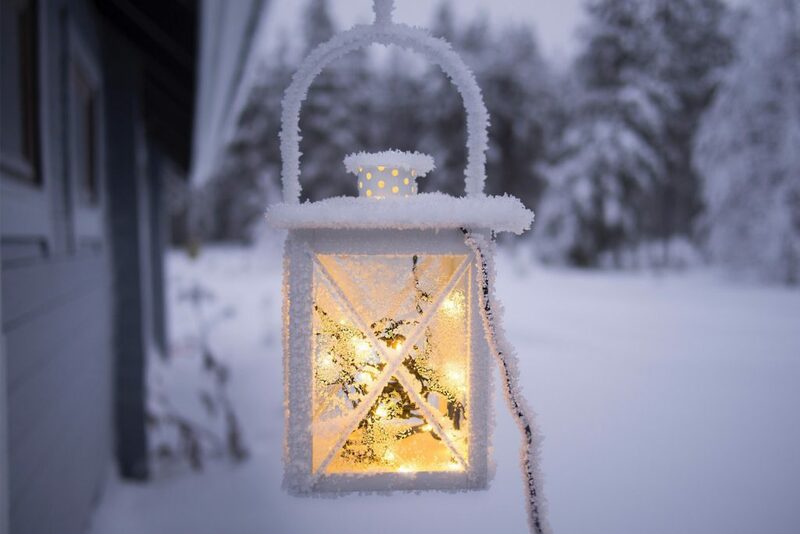 Take the time to step in to the potentials you have, believe, trust and step into the light of the season! Here is a New Moon Ritual To do for this Month, to add to your intention setting. I was inspired by the Goddess Hekate in her aspect as a guide through darkness and a purifier of spirit. This is adapted from archetypalwitchcraft.wordpress In Antiquity Hekate was strongly connected with purification of persons or the household – and in this ritual we will address Hekate in her roles as a Goddess of purification- but also in her aspects as the Goddess who has powers over the spheres of earth, sea and sky and who is the ensouler of the cosmos and the shining guide. 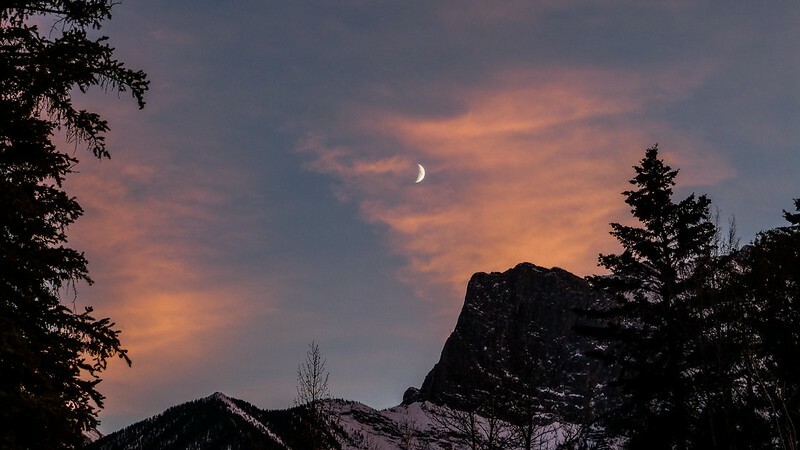 Read on for this month’s New Moon Ritual along with plant medicine and power animal guidance for this New Moon in Sagittarius…. 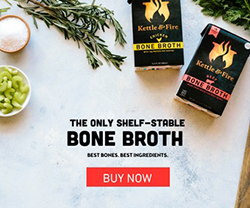 Simple, holistic tips to fight illness and strengthen your immunity PLUS what you can do if you do get sick, to fight it quickly. 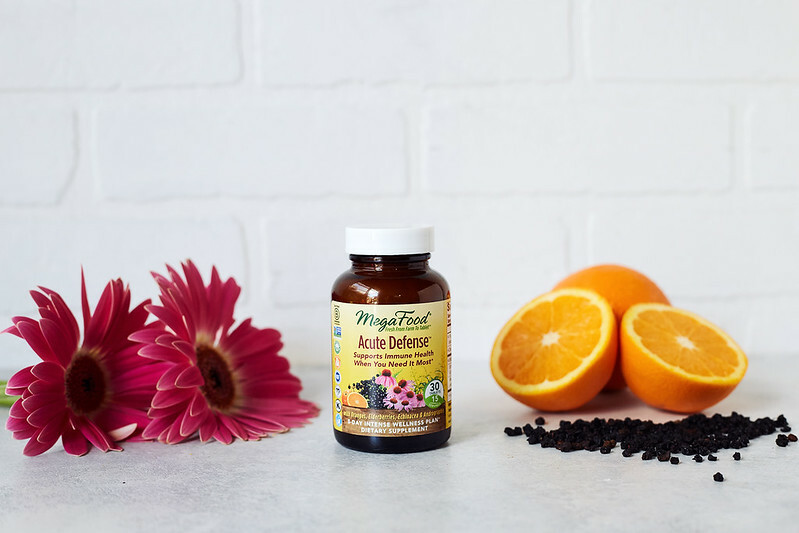 I can tell you from personal experience that the very best way to ward off chronic illness, colds, flus, infections, allergies, food sensitivities and controlling / avoiding autoimmune disease is to heal and strengthen the gut! With 70-80% of our immune system’s cells occupying our gut, this is home base for our vitality and wellness. Our gut bacteria helps the immune system’s T cells develop—teaching them the difference between a foreign substance and the body’s own tissues. Without these important immune soldiers doing their job to protect us, the nasties get in, they slip by the troops, invade, wage war, take over and it’s not fun! With years of comprised digestion, intestinal bacterial overgrowth and finally being diagnosed with a parasite, I personally spent a solid decade to 15 years, getting terrible sinus infections, several times a year, every year, most times it then eventually evolved into bronchitis and upper respiratory infections. I got every single strain of every cold, flu and stomach bug that passed through town – I even battled the Swine Flu when that was a thing. On top of all of that, I suffered for many, many years with a variety of environmental allergies – ALL of this stopped when I finally healed my gut and prioritized proper digestion. It’s magical really. But, it’s not. It’s simple. 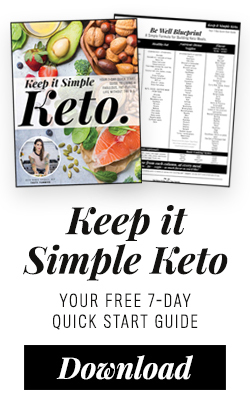 As you’ll hear echoed many times throughout this article, and if you spend more than about 5 minutes chatting with me at any given time, our gut is vital to our immune health and it’s the control center for our bodies to decide what is friend and what is foe. 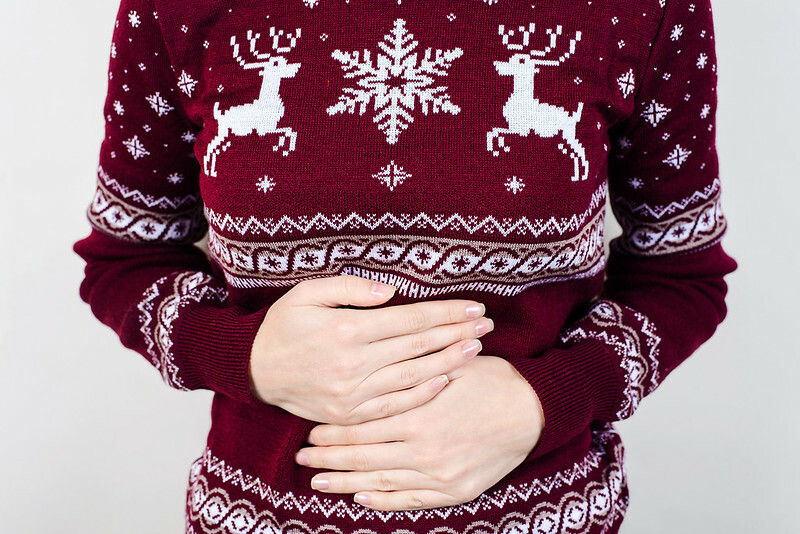 I highly encourage you to prioritize optimizing your gut, both for the cold and flu season ahead, as well as the future of your overall health and wellness. Rather than one single day centered around gratitude, I want to invite you to make practicing gratitude a daily habit. And what better way to implement your new habit than to practice, practice, practice. You can experience true abundance and contentment, in just a few minutes a day. The keys to creating a daily practice, that is effortless, sustainable and part of your routine is to understand how to set yourself up for success. 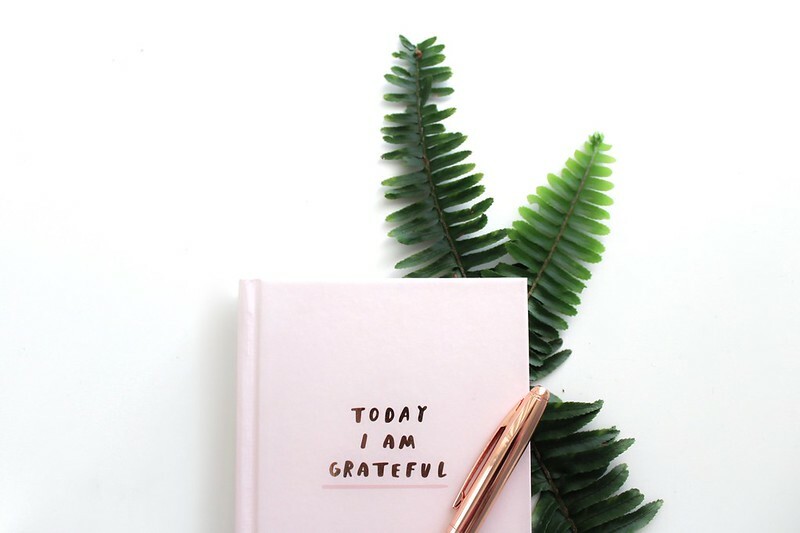 Below are a few tips to implementing a your new daily gratitude practice, plus how to make it a daily habit and the benefits of doing so. There are very few things that are as crucial to our health as a good night’s sleep. 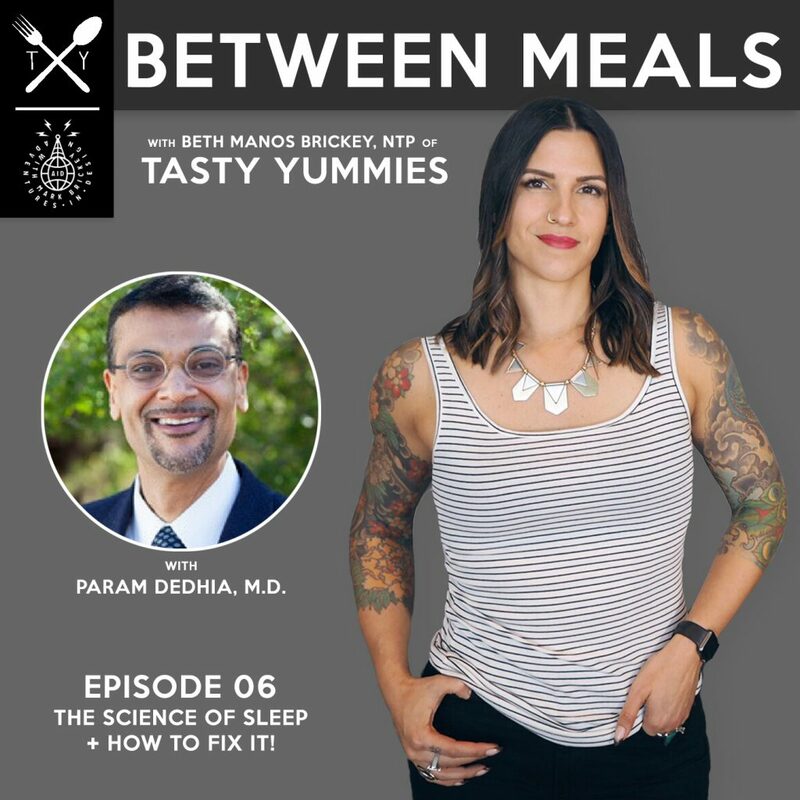 On this episode of the Between Meals Podcast we are joined by sleep expert Param Dedhia, MD and we are talking ALL about the science of sleep and how to fix it. Disordered sleep or a lack of sleep are serious stressors on the body that can affect heart health, insulin resistance, cognitive function and moods, fat loss and more. If you have trouble sleeping or simply want to optimize or better prioritize your sleep – this episode is for you. Dr. Dedhia is a Physician, Weight Loss Program Leader & Director of Sleep Medicine, Canyon Ranch in Tucson, Arizona where he championed the re-launch of the Weight Loss Program at the Life Enhancement Center and actively serves as Director of Sleep Medicine. He specializes in internal medicine, executive health, preventive cardiology, longevity, mind-body medicine, integrative medicine, weight loss and sleep. The importance of making sleep a priority, how many hours of sleep is enough? Sleep quantity vs quality – which is most important? Are you cheating yourself of sleep for more hours of “productivity”? How a full night’s sleep can benefit your work, creativity and productivity. The importance of the timing of your sleep, does it matter when you go to sleep and when you wake up? Your day time sets up your night time – tips for setting up a day that will encourage a better night’s sleep. Understanding the various sleep cycles and what happens in each. Stay curious – 6 common signs that your sleep is not normal. If you have sleep apnea – do you NEED a CPAP machine? Is severe disordered sleep equivalent to smoking a pack of cigarettes? Why do some people sleep deeply and other people are more light sleepers? Sleep supplements and other natural remedies. different types of magnesium, which are best for sleeping? 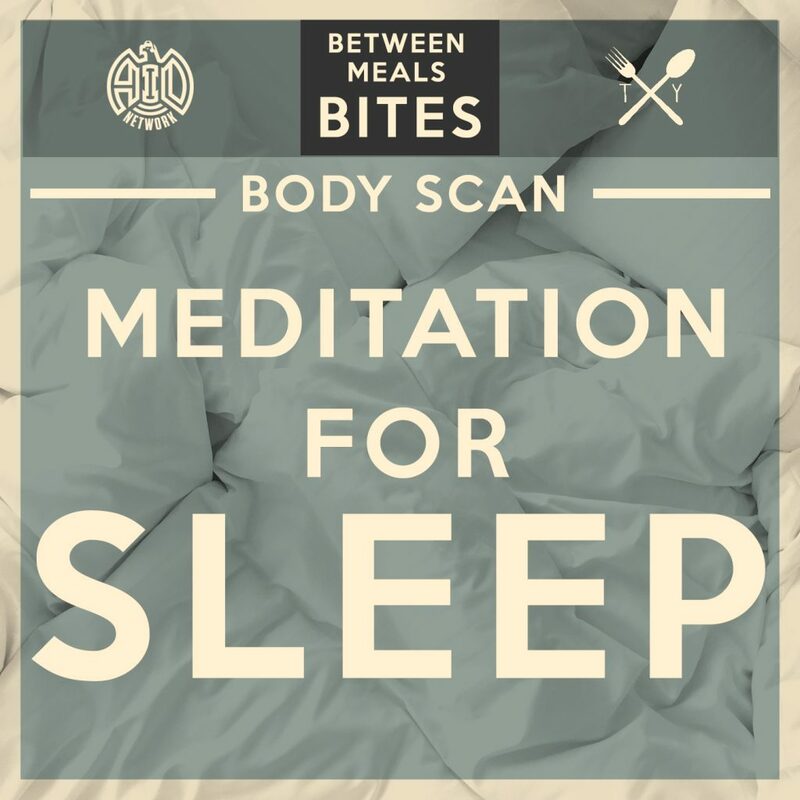 bed time rituals and practices + things to consider for better sleep. 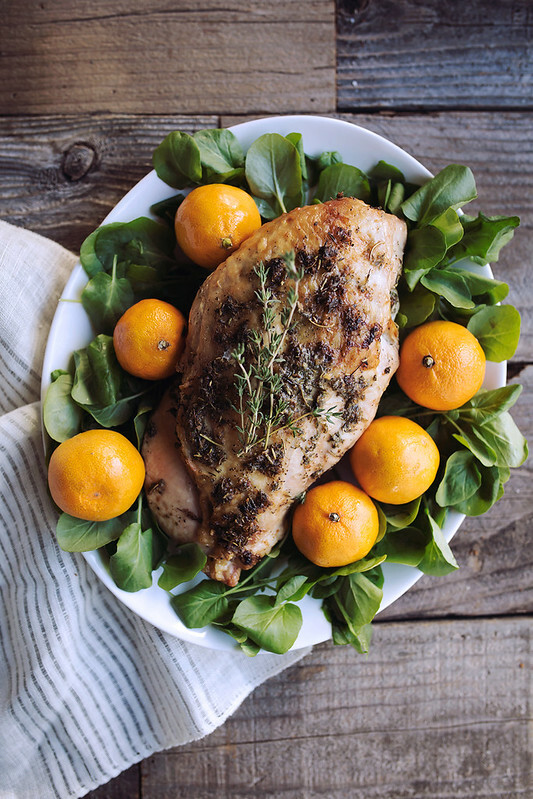 why your low carb diet may be affecting your sleep. 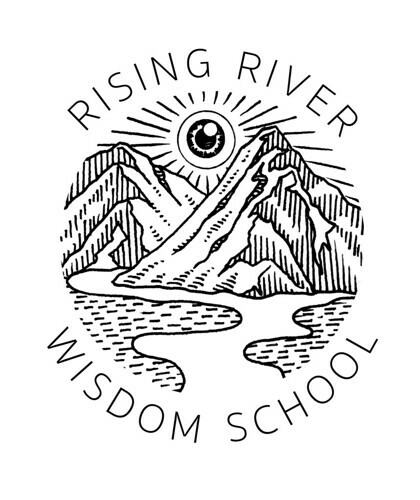 Rising River Wisdom School is an immersive program for those looking to step into their own power and carry wisdom for themselves and the world around them. Below you will find some Sacred Self Care insight for November from Rising River Wisdom School’s incredible teachers – we’ve got you covered for setting intentions with the upcoming new moon, to seeking insight from animal guides to plant medicine, plus lots of guidance for mindfully navigating the world with your vibrant well-being in focus. November’s New Moon of 2018 comes on the heels of Election Day, and is complex, surprising and powerfully regenerative. Strong feelings surround the lunation and the themes of faith, strength and the power and courage to move on in our lives, despite disappointments – are highlighted. This Sun/Moon conjunction is in strong aspect to its planetary rulers Mars and Pluto – bringing a kind of stability to the unpredictable forces at work in the collective now, even in the face of the ongoing challenge of integrating and processing change. Mars is also in a positive relationship to Venus Retrograde now in Libra, also supporting the energy of harmony. Just prior to the lunation the revolutionary planet Uranus, (retrograde in Aries) squares the Nodal Axis of our Moon, moving now to Cancer/ Capricorn. Uranus is freedom loving- anything goes this week! The wild card energy of friction that we feel however, does point to a resolution from the trine from Neptune, actively beaming into the collective imaginative ways of creating our future. The idea of blending opposing factors and creating something new is the key image of this Moon. An awareness of control in order to master our goals and objectives is also highlighted. The development of a mature strength and faith in our ability to connect our wild and instinctual self with our civilized and cultured selves, to center our lives in love and trust learning to re-imagine and re-birth our lives graciously, to blend and harmonize is essential now. To do this we must be centered in what we appreciate in our lives, even as we wish for our ideals. As we open to the possibility of what is coming into our lives, this is a good time to offer thanks for all that has come in the last cycle. You can offer thanks to the Universe, to the deities or guides you work with, to your spirit animals, or anyone you want to give a special thanks to during this powerful time. You may write or speak wishes and goals. This lunation has the power to birth strong new life for many of our creative seeds. Blessed Be! Read on for plant medicine and power animal guidance for this New Moon in Scorpio…. 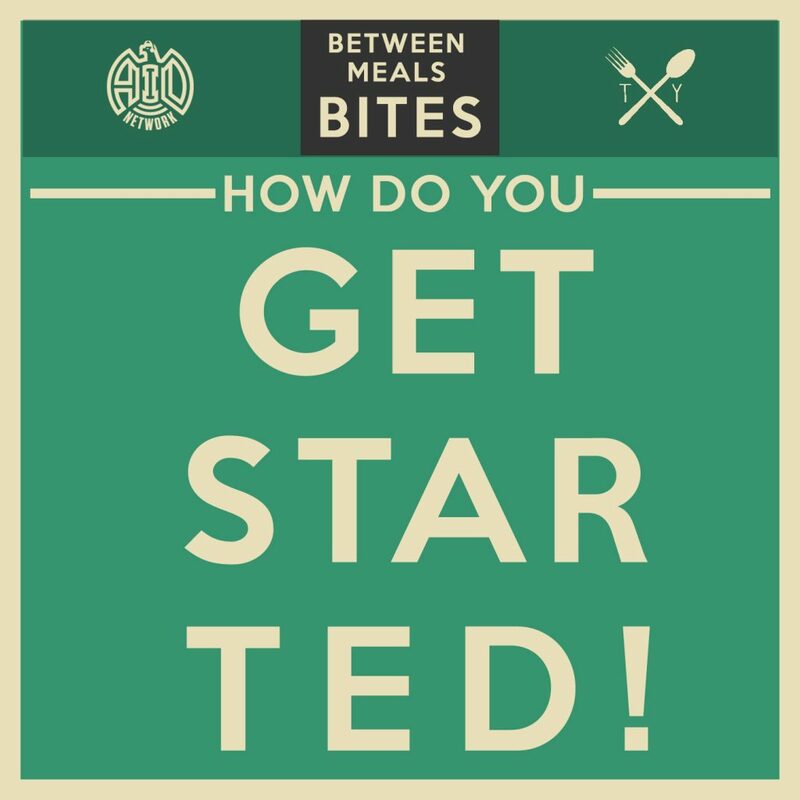 Between Meals // Bites Episode 07 is the final in the 3-part series all about Motivation, Priorities and Small Steps. 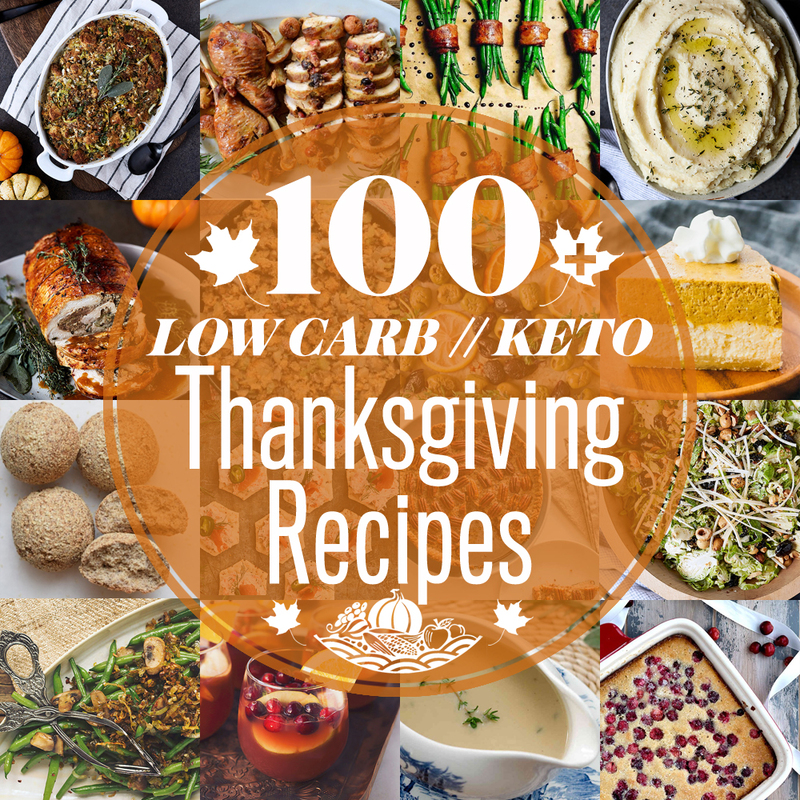 Based on your feedback and requests on these topics, we pulled together this series that I am so excited to share with you all. In the first episode we talked specifically about motivation, what exactly that means and some ideas on how to critically investigate what you are doing that IS working and what you are doing that IS NOT working, so you can have some clarity in the process of getting to whatever it is that you seek for yourself and have an understanding of what exactly is acting as a barrier. In the second episode we talk all about priorities and making time so there is less pressure on seeking external motivation and needing willpower and there is more focus on creating systems and a process. It’s about creating habits that can one day be effortless, no negotiations needed. 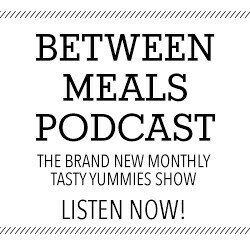 After the checks and balances of the first two episodes, in this final episode we are chatting all about small steps and just diving in and getting started! All it takes is one small step. One step is action and action is momentum and this is what creates movement, shifts and change. We are talking about the small steps, just doing a little something. Not always focusing on results or goals and instead creating habits. ARE YOU READY TO COMMIT TO A FEW SMALL STEPS? Don’t forget, be sure to listen to the first two part in this series Part One: How Do You Stay Motivated? and Part Two: How Do You Make Time for It? 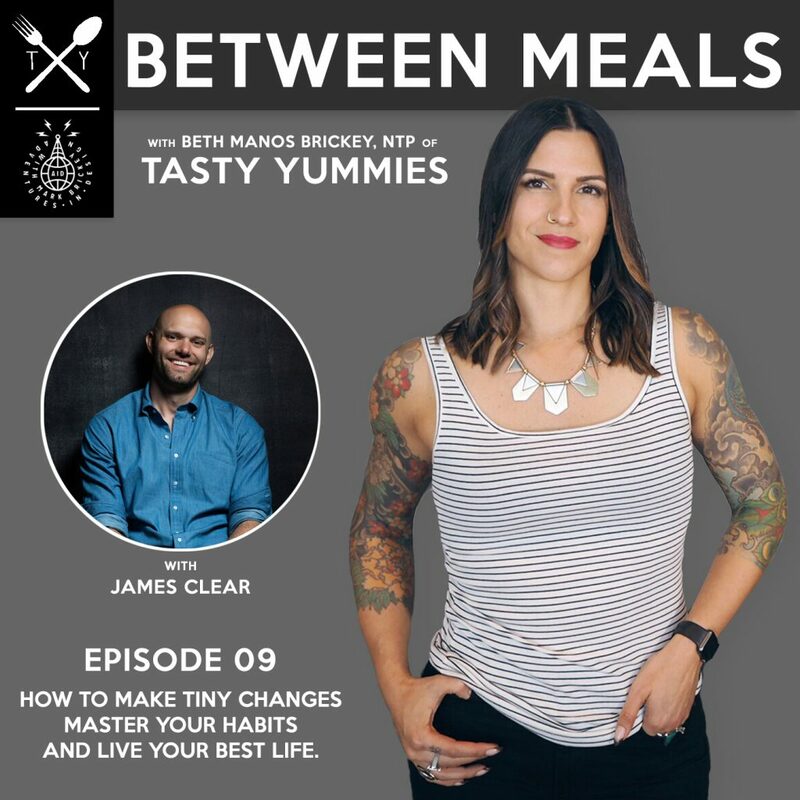 and head back to the archives, for more conversations similar to this, like Episode 02 we talk about finding our WHY, Bites Episode 04 we talk about Shoulding All over Yourself and even within the Bites Business Mastermind Series we have plenty of discussions surrounding perfectionism and comparison that pertains to this conversation, too. 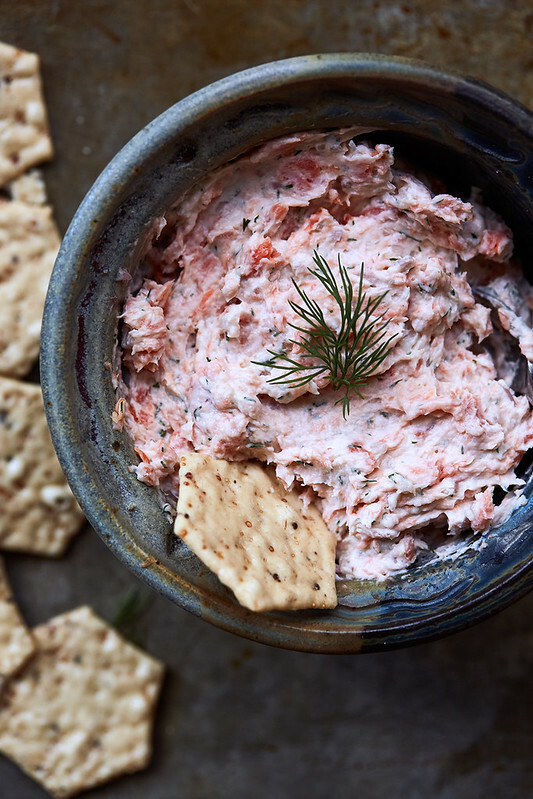 This Paleo Smoked Salmon Dip has become synonymous with party invites for me. 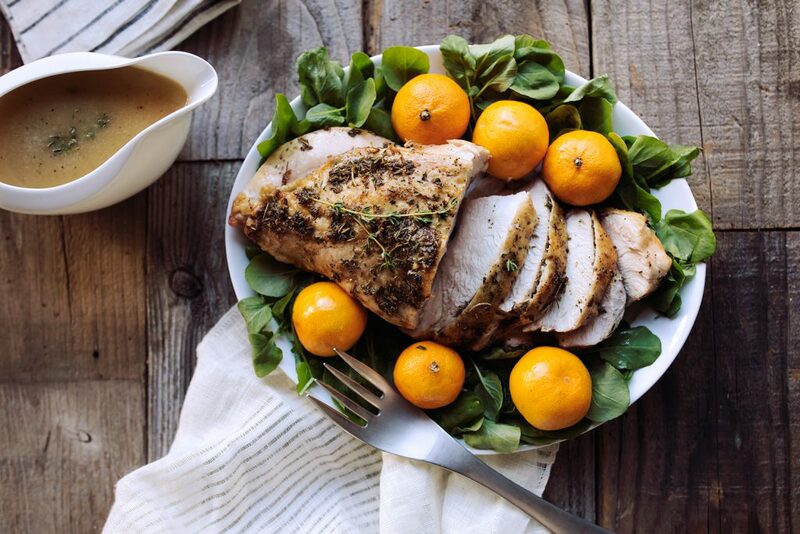 Ready in about 5 minutes, with just 4 ingredients, it’s fuss-free at it’s finest. I make with a dairy-free cream cheese, but you can also make with regular cream cheese, as well. This Paleo Smoked Salmon Dip has turned into a bit of a mainstay when it comes to entertaining, it was my signature move this past holiday season. I’ve literally brought it to every party, event and dinner, from prior to Thanksgiving and including the holiday straight through Christmas and our New Year’s Eve celebrations, too. Over the summer it is a hit at BBQs and picnics, too! 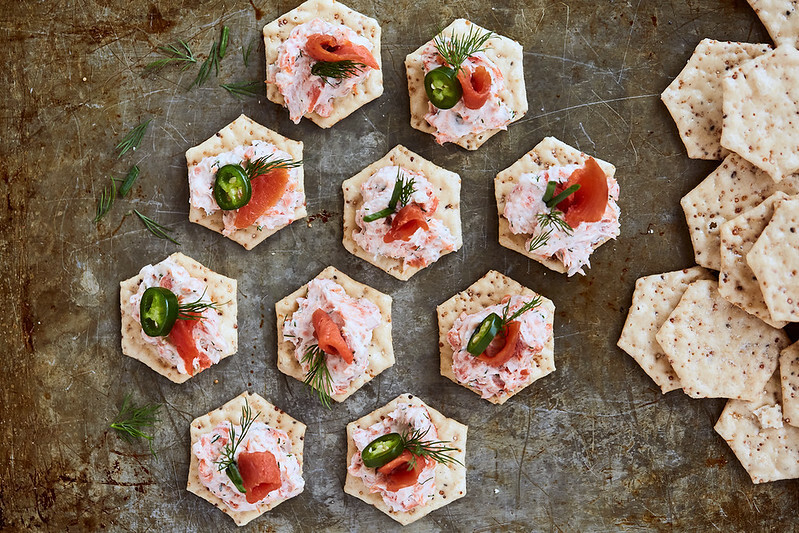 With the classic flavors of smoked salmon with cream cheese, with a couple of additional ingredients to maximize the punch of taste, this is a must for parties and it’ll impress even the non-paleo folks, as well. 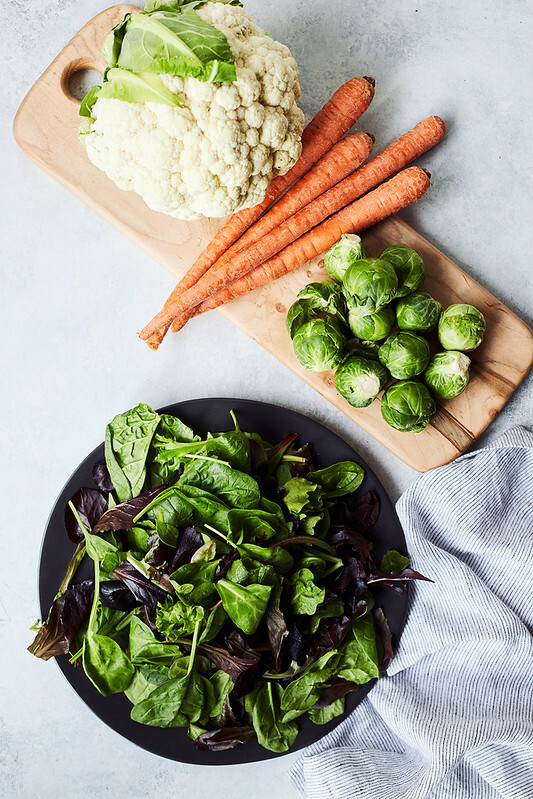 As the seasons change, the kiddos are back to school, the holidays loom and the temperatures drop, this is an especially perfect time to prioritize foods, habits and supplements that will help to keep us healthy and take the necessary steps to support our immune health, when we need it most! I am a firm believer in turning to our diet and nutrition first, when possible, to support our body’s natural processes and efforts. 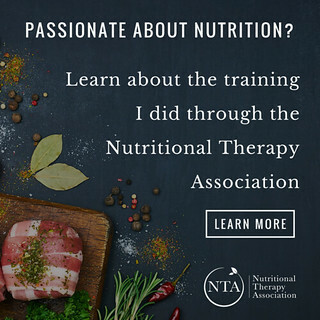 However, when it comes to acute treatment and support, along with deficiencies that may be hard to manage and remedy exclusively through our diet, I think supplementation is an incredible and super helpful option. Even the healthiest of eaters can’t always obtain essential nutrients from diet alone; this is when I turn to and recommend supplemental support. 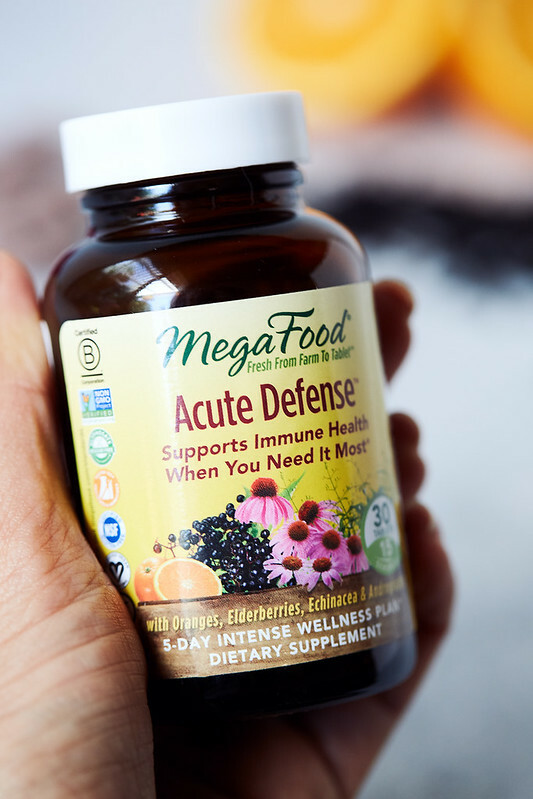 And I’m not alone – according to a recent survey distributed by MegaFood®, pioneer of premium supplements made with whole foods, 80% of respondents take vitamins and supplements, with 73% taking them on a daily basis. Those who indicated they do not take vitamins and supplements say it is because they’re not sure they work (30%) or they don’t know what to take (27%). 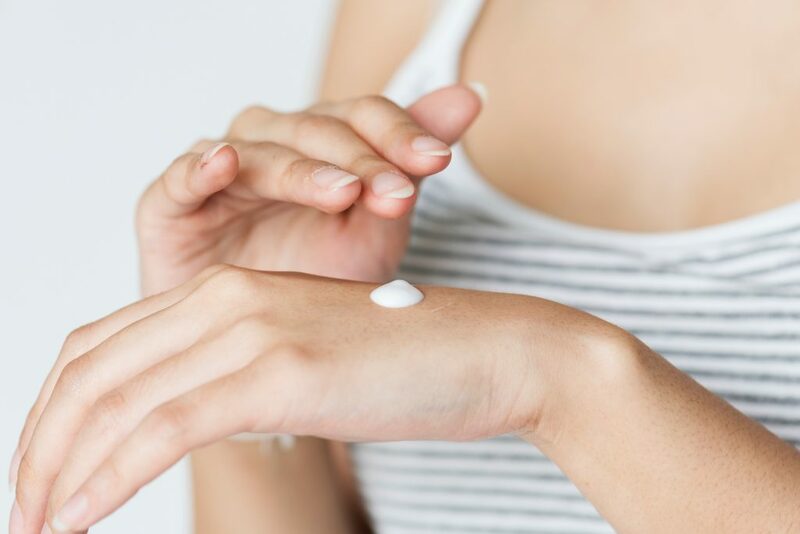 However, they did agree on one thing – an overwhelming majority of participants (87%) would take vitamins and supplements if they were made with real, whole foods. 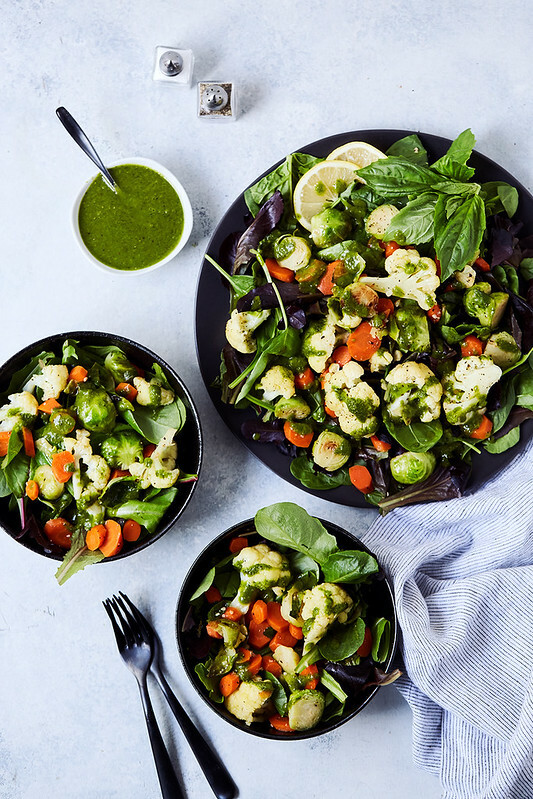 MegaFood is leading this trend by delivering essential vitamins and minerals in a way that nature intended, with REAL foods. With all the buzz around non-GMO and organic certifications, and recently with news of the harmful chemical glyphosate being found in common foods, consumers will continue to look to brands like MegaFood that produce products that are GMO-free and tested glyphosate residue free and truly transparent. 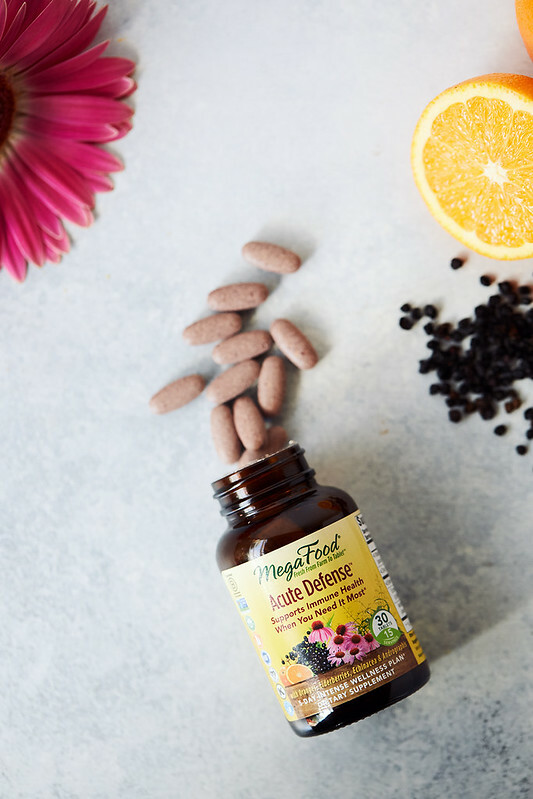 MegaFood was actually the first supplement brand to have its entire product line certified Glyphosate Residue Free by The Detox Project, and products boast additional certifications such as non-GMO, gluten-free, vegan and vegetarian, among others. I have shared with you all many, many times the struggles I have faced throughout my entire lifetime with my underperforming immune system. It’s been a very long road of working to support and heal. It wasn’t until I went to school for nutrition and spent time reading, studying and researching the immune system that I finally got hold of my immune health.